Signs of aging are prominent around the eyes in the form of fine lines, wrinkles, and sagging skin. Often times affected by heredity, general health, and life stresses the periorbital area and specifically the eyelids age disproportionately to the remainder of the face. Many patients find the prominence of this feature objectionable and seek correction that establishes facial harmony that may never have existed. Loose skin and fat deposits can weigh down the eyelids and create a tired appearance even if a person is well rested. Excess fatty deposits can also create bags and puffiness around the eyes that contribute to a tired look. Excess fatty deposits and sagging skin on the upper eyelids can project/descend and impair a person’s full range of vision. By removing this tissue in excess, the visual fields can be returned to normal, improving function. Depending on the degree of visual impairment, upper blepharoplasty may be considered an effort to restore vision and thus function and may be considered a covered procedure by some insurance plans. A. The incision for upper eyelid surgery is placed within the natural crease of the eyelid so that no scar will be noticeable while awake. The incision for lower eyelid surgery may be inconspicuously placed just below the lashes to remove excess skin, or an incision hidden within the interior surface of the lower lid may be used to remove and reposition tissue. A. Most patients are able to resume work and normal activities about ten days after eyelid surgery. Some swelling and bruising may persist for a couple of weeks, but cold compresses will help reduce these side effects. Sutures are removed within one week of the day of surgery. 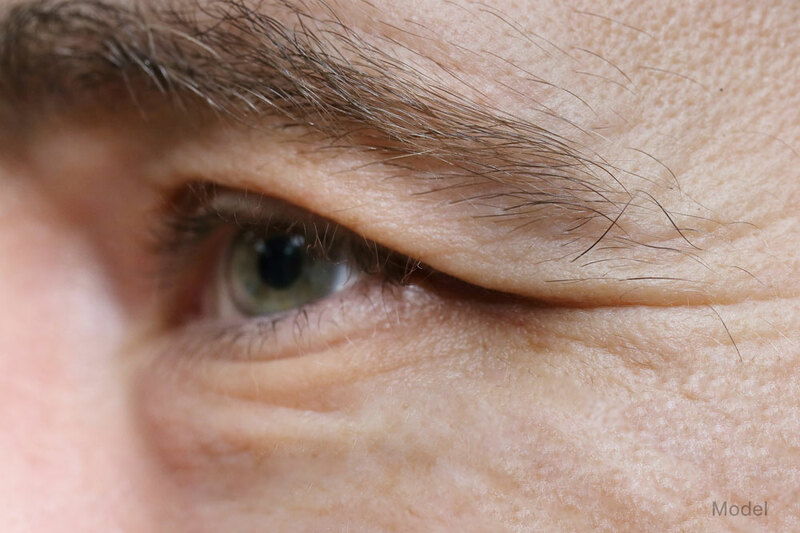 Have additional questions about the Eyelid Surgery (Blepharoplasty) procedure? Schedule a Consultation with Dr. Knowling for further information.